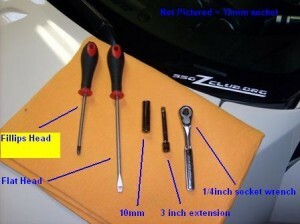 These are the only tools required, besides your own two hands. 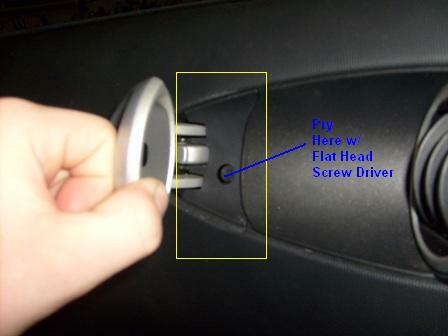 The first thing to do is remove the tab in your door handle that covers the screw (using the flat head screw driver), which secures the handle and window/lock switches to the door panel. Using the fillips head screw driver, remove the screw. 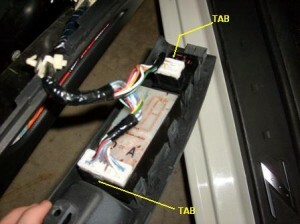 Now remove the door handle and locate the tabs securing the wire harness’ for the door locks & power windows. 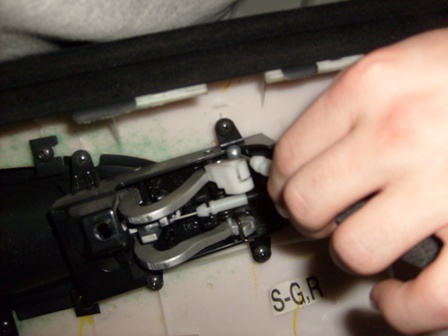 Using the flat head, push down the tabs and pull the male end out of the wire harness with your other hand. You can now locate 2 of the 3 bolts/screws that secure the door panel to the door. Using the 10mm socket, 3″ extension, and the 1/4″ drive socket wrench – remove the bolts/screws. Located behind the interior door handle is a plastic covering with a hole cut in it, that goes around the rubber piece that is there to stop the handle. 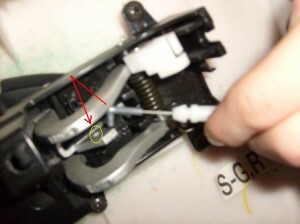 This is where i pry the flat head screw driver to remove that plastic piece. 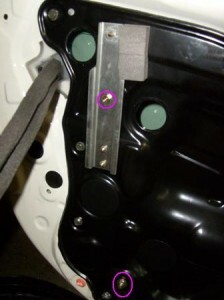 Behind that piece, you will find the 3rd and final bolt/screw that secures the door panel. 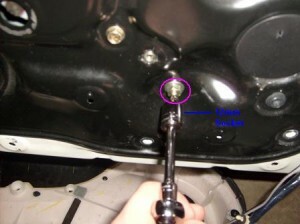 Using the 10mm socket, 3″ extension, and 1/4″ drive socket wrench, remove the bolt/screw. 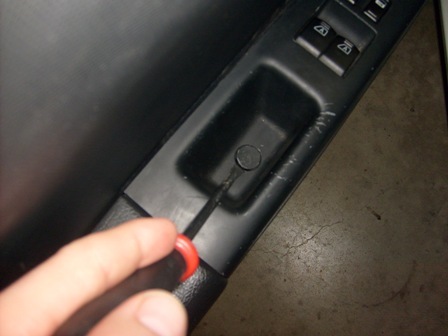 At this point you can pull the door panel off by hand. There are only tabs holding it on now, and they all will pop off. 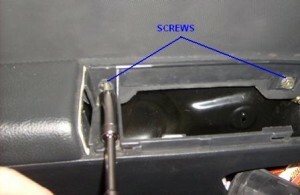 Now on the inside of the panel, you will need to locate the opposite side of the interior door handle. Remove the cables that operate the door lock, and opening mechanism. No tools are required for this step. 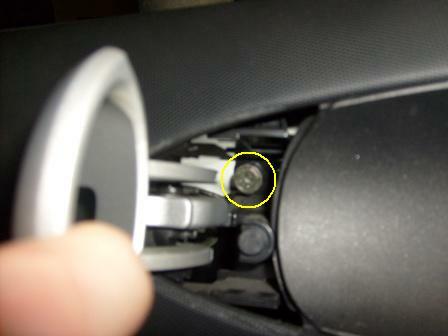 Now you have the metal door panel, which is secured by 11-12 bolts/screws (grey) around the boarder of the panel. Locate the wire harness for the window motor in the upper right corner of the metal door panel. Using the flat head screw driver, disconnect the wire harness. 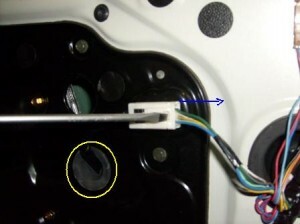 After removing the panel you will need to push the rubber grommet through the panel – the wire is attached to it. 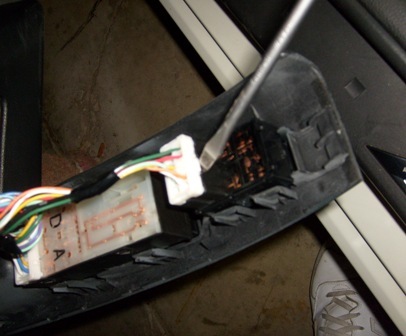 There will also be two white tabs on the back side of the panel that secure the female end of the window motor wire harness to the panel. Using your fingers (or pliers) pinch them, to remove the harness. 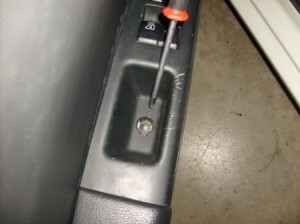 At this point, you can remove the 11 – 12 bolts/screws that are holding the panel to the door. 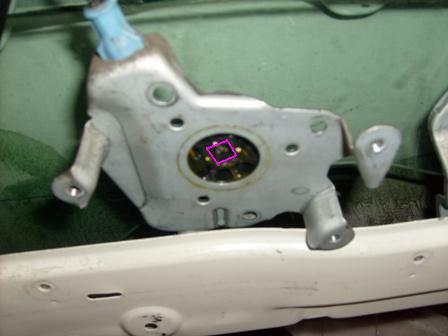 The panel will not fully remove, but will come off a little bit. Now for the gold colored bolts/screws and nuts. 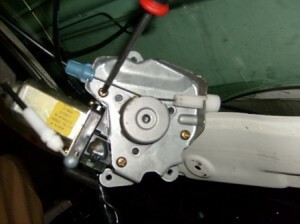 Three of the bolts/screws are what secure the window motor to the panel. 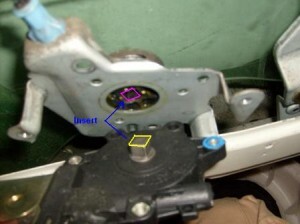 The other two bolts/screws, and the 2 nuts hold the brackets that hold the glass in place. there is one of these bolts/screws, and one of these nuts on each bracket (on each side). 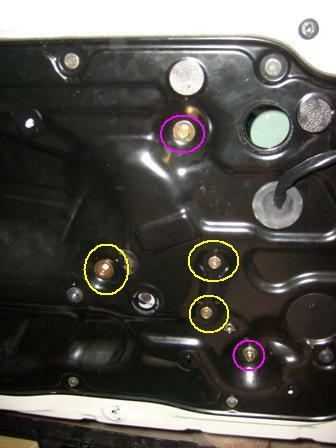 Using the 10mm socket, remove all of the bolts/screws. The Nuts are a 12mm socket; remove them as well. 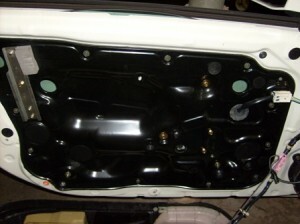 The panel should now come off, and the motor & guts of the door, will be revealed. Locate the 3 screws, on the back side of the motor bracket, which secure the motor to the cable spool. The cable spool is what winds up the cables, thus making your window go up, and unwinding them, makes it go down of course. 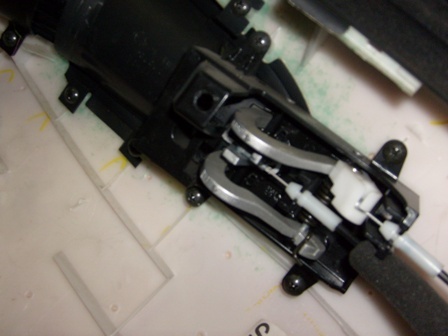 Using the fillips head screw driver, remove the 3 screws to remove the window motor. 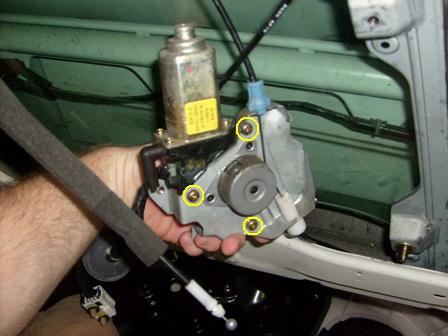 Now that you have removed the window motor, you can identify the male and female parts of the motor and spool, to determine how they go together. After a brief moment of figuring this out you may put it all back together. 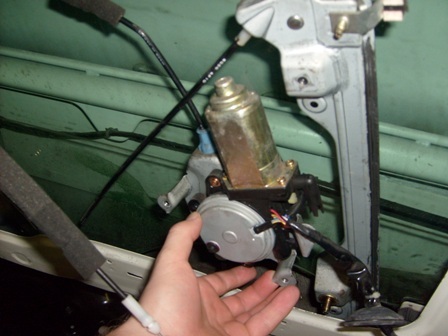 To get them to go together properly, i had to plug the motor into the harness, turn the key on, and hook the switch back up – then play with it up and down until the male and female lined up properly. Only took about 30 seconds. Now put everything back together the way you took it apart. When i got everything together and tried the window, it only went up half way, i had to shut the door and close it to get it to go all the way up, and it worked fine ever since. Really this job was fairly easy, and only requires one person and very little tools – basic tools at that. 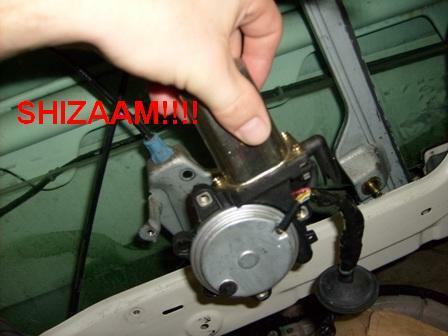 I bought my window motor through RockAuto.com which was the cheapest i could find it. After shipping, core charge, and all – it was $149.02. One of my friends is a mechanic for a dealership here that sells new Ford, Mazda, Mitsubishi, Hyundai, Kia, and Nissan, and he couldn’t get it less then $156 with his discount. But if you can find it for cheaper, let everyone know.